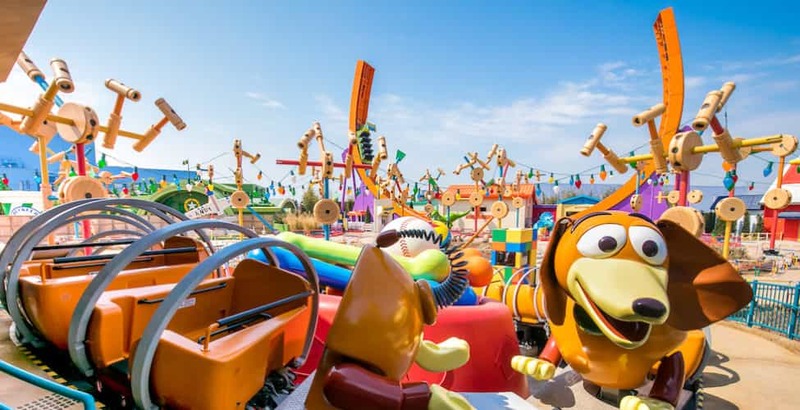 Shanghai Disneyland’s seventh themed land, the brand-new Disney/Pixar Toy Story Land, is ready to open on April 26. With every attraction and icon now installed, and a test and adjustment period now underway, Woody, Jessie, Slinky Dog, Rex and all their friends are almost ready to welcome guests to their world. To celebrate the opening of the park’s first major expansion since its opening, Shanghai Disney Resort will host a special ceremony on the morning of April 26, and the land will be officially open to park guests at 1 p.m. Disney Cast Members and invited participants will get to preview the land in the weeks prior to the official opening of the land.